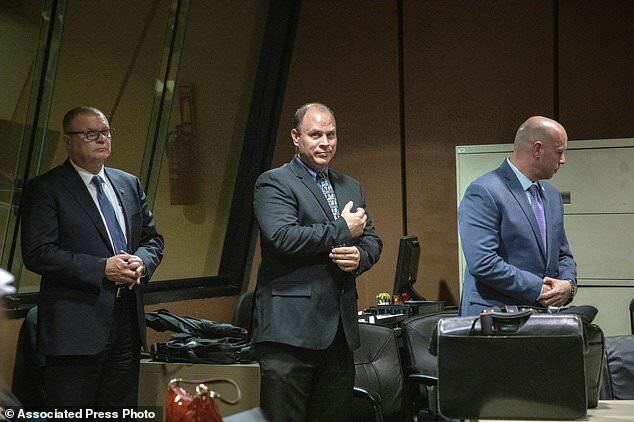 Three Chicago police officers have been acquitted of trying to cover up the 2014 police shooting of Laquan McDonald to protect the white officer seen pulling the trigger on dashcam video that showed the black teen getting hit with 16 bullets. Officers Joseph Walsh and Thomas Gaffney, as well as detective David March, were all accused of conspiracy, official misconduct, and obstruction of justice. Prosecutors alleged that the three men had coordinated their stories and filed false police reports after McDonald was shot in October 2014. 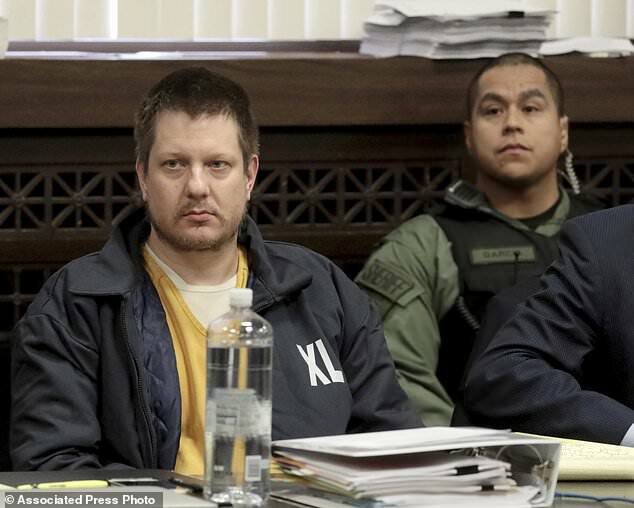 In rejecting the prosecution’s entire case, Judge Domenica Stephenson seemed to accept many of the same defense arguments that were rejected by jurors who convicted officer Jason Van Dyke. 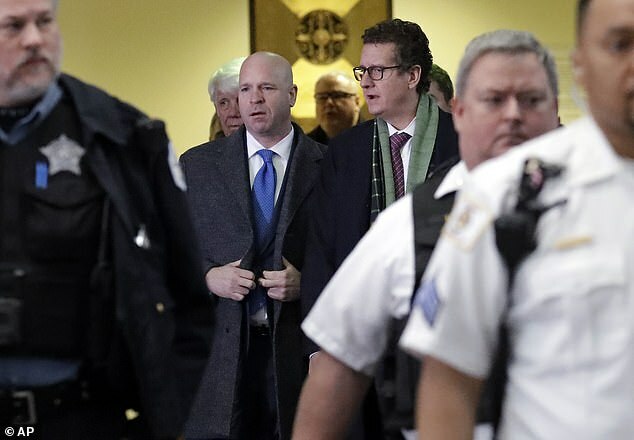 Stephenson repeatedly said in her ruling on Thursday that McDonald continued moving and holding a knife after being knocked to the ground by Van Dyke’s initial shots, suggesting he could have still been seen as a threat. 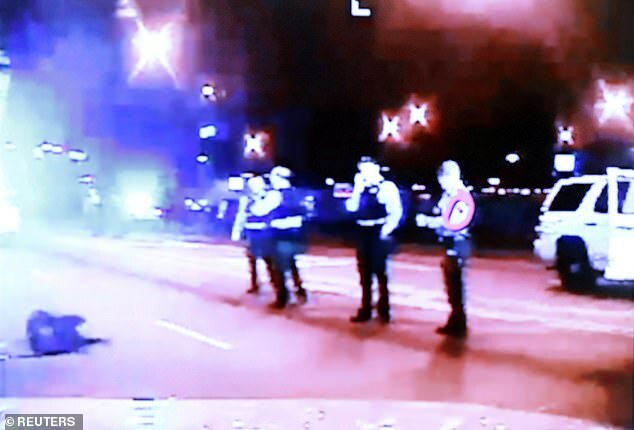 But the jury that convicted Van Dyke didn’t see it that way – and the police dashcam video crucial to convicting him appears to show that McDonald’s movements while lying on the street were largely caused by Van Dyke continuing to shoot him. Van Dyke was convicted in October of second-degree murder and aggravated battery in the 17-year-old’s death. He is scheduled to be sentenced on Friday by a different judge. The judge said there was no indication that officers tried to hide evidence. ‘The evidence shows just the opposite,’ said Stephenson, who singled out how they preserved the graphic video at the heart of the case. McDonald’s family immediately questioned how the two cases could produce such different decisions. ‘It is a sad day for America,’ he added. 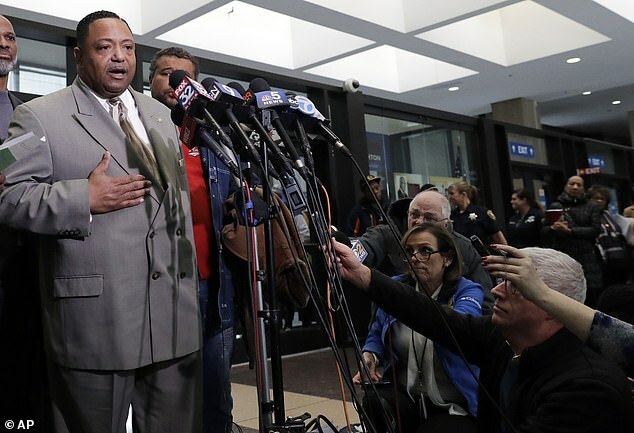 The trial was watched closely by law enforcement and critics of the department that has long had a reputation for condoning police brutality and misconduct. Walsh and March have since retired. Gaffney has been suspended without pay. Both trials hinged on the video, which showed Van Dyke opening fire within seconds of getting out of his police SUV and continuing to shoot the 17-year-old while he was lying on the street and barely moving. Police were responding to a report of a male who was breaking into trucks and stealing radios on the city’s South Side. Prosecutors alleged that Gaffney, March and Walsh, who was Van Dyke’s partner, submitted false reports about what really happened to try to prevent or shape any criminal investigation of the shooting. 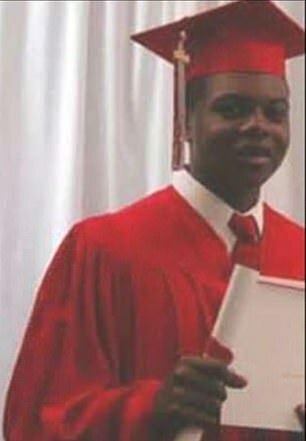 Among other things, they said the officers falsely claimed that McDonald ignored verbal commands from Van Dyke, that Van Dyke shot McDonald after McDonald aggressively swung a knife at the officers, and that he kept shooting the teen because McDonald was trying to get up still armed with the knife. McDonald did have a small knife that he had used to puncture a tire on Gaffney’s police vehicle, but the video shows that he did not swing it at the officers before Van Dyke shot him and that he appeared to be incapacitated after falling to the ground. ‘The case is clear. The case is straightforward, and it is concise,’ Special Prosecutor Patricia Brown Holmes told the judge during opening statements. When later summarizing her case, Holmes urged Stephenson to hold the officers accountable and to provide some measure of justice to the slain teen. McDonald ‘was a human being. He deserved due process in the law and not to have police officers write false reports and shape a false narrative,’ Holmes said. The attorneys for Gaffney, Walsh and March used the same strategy that the defense used at Van Dyke’s trial by placing all the blame on McDonald. It was McDonald’s refusal to drop his knife and threatening actions that ’caused these officers to see what they saw,’ March’s attorney, James McKay, told the court. The lawyers ridiculed the decision to charge the three officers, saying they merely wrote what they observed or, in March’s case, what the other officers told him they saw. And the defense claimed there was no evidence that the officers conspired to get their stories straight. ‘The state wants you to criminalize police reports,’ McKay bellowed at one point. 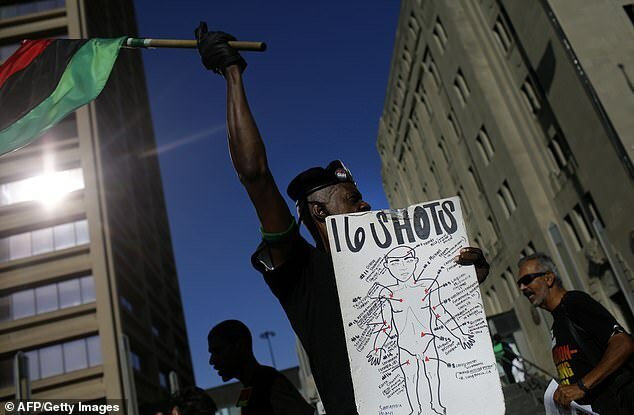 The McDonald shooting sparked large protests and led to major changes to Chicago’s policing. City Hall only released the video to the public in November 2015 – 13 months after the shooting – because a judge ordered it to do so. The charges against Van Dyke were not announced until the day of the video’s release. The case cost the police superintendent his job and was widely seen as the reason the county’s top prosecutor was voted out of office a few months later. It was also stunning because it led to charges not only against Van Dyke, but against the three officers accused of covering for each other as part of a ‘code of silence’ that until recent years city officials adamantly denied even existed. 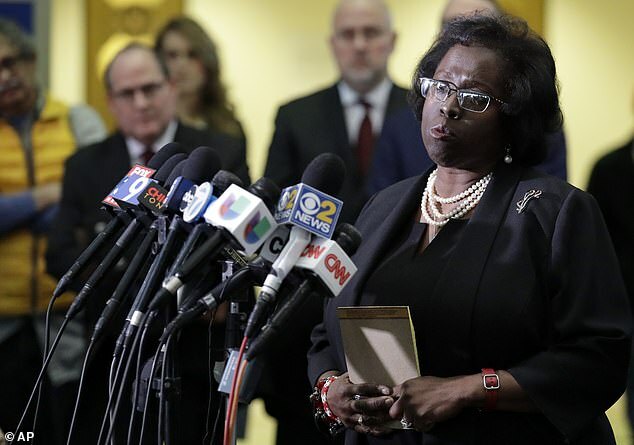 At the same time, the case triggered a federal investigation that resulted in a blistering report that found Chicago officers routinely used excessive force and violated the rights of residents, particularly minorities. The city implemented a new policy that requires video of fatal police shootings to be released within 60 days, accelerated a program to equip all officers with body cameras, and implemented a host of other reforms to change the way they investigate officer-involved shootings.